We finally made it to Arc 4! ALL RIGHTS BELONG TO THE ORIGINAL AUTHOR, TAPPEI NAGATSUKI, THIS IS A TRANSLATION OF THE FREE JAPANESE WEB NOVEL INTO ENGLISH. The grey gloom of the sky mirrored the state of Subaru’s heart. In front of Crusch’s mansion, six dragon carriages lined up in a row. Those that fled from the Roswaal domain, the villagers of Arlam(or so the place was called) were all loaded up. Only the final special carriage was reserved for Subaru and Emilia. Silently gazing at the dragon carriages, Subaru heard a voice from behind him. Turning to see, it was Crusch looking at him. Her long green hair caressed by the misty wind, she closed her eyes, and seeing her, Subaru scratched his head. Opening and closing his hands, Subaru thought about the state of his health, and smiled awkwardly. Back then, it was to recover his health that he came to Crusch’s mansion in the first place. Roswaal had a hand in sending him here, and it still annoys him to see that Clown’s wishes fulfilled so perfectly. As a matter of principle, even if he fulfills any of that guy’s wishes, it should be by continually stomping it. Declining Crusch’s offer, Subaru shook his head. He was thinking of Julius and Anastasia. Out of the three factions that joined forces against the White Whale and “Sloth”, only Anastasia’s purely benefited. Crusch’s camp, by slaying the White Whale, had accomplished a glorious feat four hundred years in the making — but Crusch’s amnesia was a devastating blow. As for Subaru and Emilia’s camp that defeated “Sloth”, the supposedly well-informed Roswaal’s absence from it all doesn’t bode well at all. In terms of casualties, although they didn’t suffer heavy losses like Crusch’s camp, to Subaru, his loss was far too great to bear. In comparison, only losing a portion of her mercenaries and supply trains, Anastasia’s forces are almost completely intact. And even though she wasn’t the main player in either battle, her forces made tremendous contributions with minimal losses, a highly profitable investment. While the damage to their forces made the other two factions hesitate in publicizing their victories, it was not a concern for Anastasia. The ground dragon— Patrasche glanced at Subaru as he spoke, and then, as if rejecting his admiration, turned to Wilhelm. The old swordsman, who up to now had been checking the carriages before their departure, nodded at their conversation. Touching the smooth texture of the side of Patrasche’s stomach with the palm of his hand as if to show off his affections, Subaru looked into Patrasche’s rather pissed-off looking eyes. To Subaru’s overly intimate molestation, the ground dragon reacted with an expression of profound disgust from the bottom of its heart, and jerked her body as if trying to break Subaru’s fingers. That unspoken trust on the battlefield… is woefully absent right now. Now it’s just a sassy attitude… But in the end, even with the cold demeanor, Patrasche allowed him to pet her. Sorry it took so long guys! We’re in Arc 4! At the beginning of Arc 4, the tone changed from the the dense, emotionally packed Interlude III into some lighthearted humor. I got lost for a bit there! I hope I managed to translate it to be enjoyable to read after all! This is only the calm before the storm though! Once again thank you Jonathan K, Saranyu P, Jonathan B! And Kirt T and Stephen S! and Alberto G! and Jeffrey N! And Jonty J! MattErnest A! Justin F and Oleg Z! And Michael M, and Bentley M, and Micolo C! Zachary K! Marcel O!! Luis R! Guillaume C! Krzysztof C! Martijn T! Sergeev D! Julien/Terence T! Blake L! Macaulay K, Daniel K! Martin S, Vincent M, Brian D, Tim K, Julian H! Flavio T! Lennart W! Mohammed M! William W! David M! Mark M! Dawid K! Otto B! Steve B! Jason B! Alexandre M!! And Jesse A! David S! Ly T! James Q! Alexander P! Jeffrey N! Shahril A! Giraffe! Gabriel D! Devon C, Rafael H, John W!! Son Wukong! Thomas A! John L! Matthew K! Loc V! Ayan S! Shippolover! Spencer N! Alexander! Dustin F! Nope! Hunter G! Aiman Z! Edsel R, Michal Z, Zarko B! Thank you so much!! You are awesome!! And thank you everyone for those wonderful messages! They really cheer me up! Chibi Reviews just did another Re:Zero Web Novel video today!! And Son Wukong did a live reaction reading for Interlude III! 😀 I was keep reloading the page . Ty for the translation and i as they say better a little late than never . Last night I was despairing that the banter might carry on for too long… so I didn’t want to release something before it’s fun to read. I’ll be more vague when I make predictions on release time haha..
How many parts does this chapter has? About 5 probably! I left out the total so it’s more flexible in case a part gets split in two. Well we’re in your hands for the next uh, 9,000 parts? when do you think the next chapter is gonna be available? I’ll try finish it tomorrow if I can! But you know… I don’t mind having to wait and I guess many others don’t either! Your health and sleep hours are far more important so no need to hurry! You are doing an amazing work already, Just keep a healthy pace! And thank you for the hard work! Otsukaresama! Thanks for catching that! I’ll go fix it! Thanks evilchicken! You are the best chicken in our universe! Hahaha, I can’t wait either! I did enjoy it! But recent I got a bit distracted by different things like hosting other languages, and the possibility of working with another translator, or what to do if someone translates ahead of me and our progress clash…. I almost forgot about how fun it is to just read something I just translated! Thank you guys for keeping me grounded and believing! I should really just enjoy translating and put those things out of my mind for a while! I hope someone will translate it because we have huge re zero fanbase in Poland, but i’m not that good with translating i mean i’m not good enough to do it (for now). Yeah it’s great fun to unravel every level of meaning of a text, to drink it all in and then rearrange them in a new language! I plan to make an “Other Languages” page for all the translations, I already have Spanish, Portuguese, Italian, Russian, French lined up! So is this an entire chapter of arc 4, or is it only part of it? It’s part 1 of about 5 parts! But I left out the total number of parts since I’m not sure if I’ll end up splitting one of the parts. great job once again!! I like a lot of people don’t mind waiting either. i mean its either i wait or there is nothing so i much rather wait XD no need to rush cause im sure that like many of us you got many things to attend too as well. Thank you so much holychicken! ^-^ you are the best! How many chapters are contained in the arc 4?? 130 chapters, some of them are mega chapters 3 or 4 chapters in length. This is something I’m figuring out. If some translators can join me and work on a single linear progress we can release faster without losing quality. You’re awesome keep it up! Evil chicken! Can i build shrine for you someday?! I will spread word of evil chicken cult, the god of translations! How many chapters does part 4 have? I feel like instead of “sponge”, it would sound better if “intruding” was used. Soaking up hospitality or further leaching off of Crusch’s household, the meaning you want to present is yours to decide. There’s also another instance of “sponge”, and “stay” seems like it would fit the sentence better, but again, it’s your choice what to do with it. Lol while Rem is unconscious, it seems like Patrashe will steal the spotlight as best girl. Amazing translation by the way. I’m particularly impressed with how you translated the 2nd to 4th lines. It’s interesting to see Wilhelm’s experience with ground dragons come into play here and Patrashe’s tsundere attitude appear in this scene. Thank you again for translating this. The God strikes yet again! Thanks as always brother! P.S. I can’t wait till we delve into the really good parts of this arc (basically all of it xD)! How long do you think the entire arc will take to translate? I’m thinking of reading the whole thing one time. Also a big thank you for doing this. Don’t go burning yourself out on this too quickly. Isn’t arc 4 as long as the first three arcs put together? I think you should upload twice or once a week so you have more time therefore chapter’s be a little longer… just saying. Is The Holy Chicken a religion? Because it should be. I really apreciate what you are doing here on your own free time. There is only one religion here. Thanks so much for another great chapter! As I think I’ve mentioned before, and others are making clear for you now, please feel free to take your time doing these. 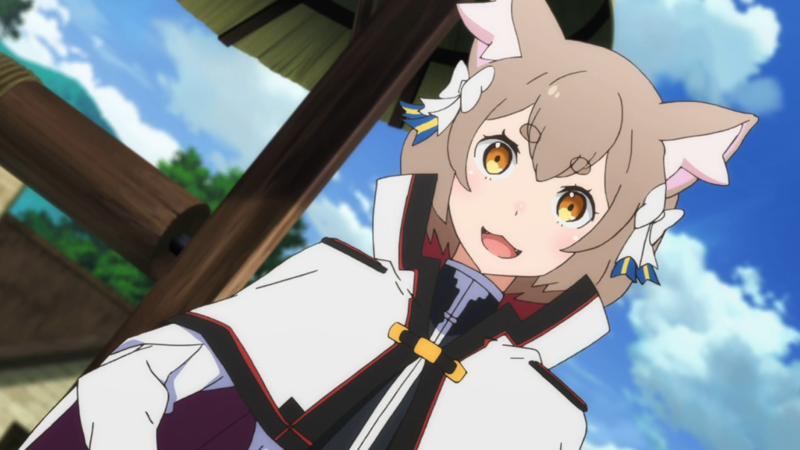 It’s understanding that you’ve gotten heaps of publicity from content creators and are a major source for Re: Zero content for English speakers–but don’t get too burnt out trying to take on more than you can chew at a time. You wonderful person! I love you for the this! I believe in the chicken and it has answer me… with a brand new chapter (part of it). We must praise the chicken and build a shrine to this guy. Who’s chicken? There is only evil chicken and his imitation called holy chicken! I already started build shrine for evil chicken cult! Owner, I loved it this anime and novel. I want ask your permit, can I translate this to my blog in language Indonesia ?? Just give credit and post a link to this site when you release it! Yes you can! I’m going to hack your account, so I can get your address, to go and personally kiss you for this. I hope u can find someone who can work with u..! Why did you say “This is only the calm before the storm though!” the hype omg i cant habdle it!!!!! Praise be the chicken, again thanks for the translation really appreciate these. Keep up the great work. We all must praise our savior Chicken for significantly decreasing the terrible wait on knowing what’s to come in this masterpiece of a series. I check back here every day and I’m always so happy when I see something I haven’t read yet! You’re a legend, Chicken! Smooth as always.) Making wait and wonder, then satisfy and leave us craving for more… just like the Re:Zero we knew. All glory to the Chiken! Dude, I want to thank you for your effort. Its really appreciated. Did you think about making this a team effort? There are probably few people that could help you with translation by taking some load off your shoulder? Yeah I am thinking about that now! There are a few who are interested! If someone can do simple rough Japanese-English translations for me I can work more as an editor to rewrite everything to be smooth to read. That will speed everything up! What’s up with Patty? Why is she all pissed off at Subaru? She’s just a tsun-tsun. I’ve heard she even killed Subaru once. The Everlasting Convenant huh, sounds kind of strange since I always read it as The Eternal Contract. Oh well it’s fine I guess. Thanks for the translation Chicken! Good translation, keep it up! Big thanks for your hard work!!! In my Pantheon there are only Solaire of Astora and The Holy Chicken. Thanks my lord for giving me all i need. “The road is long, so unlike the way here, they won’t be riding with the children. Also because there is a mountain of things he has to say to Emilia, Subaru prearranged it so they could be alone.“ The road WAS long, so unlike THEY BEHAVED on the way TO THE MANSION they WOULDN’T be riding with the children. Also because the WAS a mountain of things he HAD to say to Emilia, Subaru prearranged it, so they could be alone. Slowmoder please tell me the reasons why they need to be changed, I can’t understand when you just capitialize what you want to replace it with. The road between the Capital and the Roswaal domain or Sanctuary IS long, it’s not supposed to be in past tense, it will always be long geographically. “They behaved”, they didn’t behave anything. Only the seating arrangement is different this time. The narrative is in present tense, Subaru will be telling Emilia things, but it hasn’t happened yet. The Author’s writing style is to narrate from subconsciousness of the characters. He is paraphrasing the characters’ understanding of the situation. You can notice many instances where the narration corresponds exactly with the character’s thoughts in the scene. In other words, because the original author writes in present tense and often changes tenses to past and future depending what’s needed for the narration, I can’t change everything into past tense like that. It would also make the narration extremely dull to read and devoid of style if everything was in past tense. You are a superb translator. Especially because you’re so picky with words, which is a good thing. Though I still do have to admit that something feels strange about this part of the sentence: “Also because there *is* a mountain of things he *has* to say to Emilia, Subaru *prearranged* it so they could be alone.” This is one single sentence with two different tenses. It goes from present to past tense. Maybe the original author did this as well, but gramatically, it’s at least weird, if not wrong. He *prearranged* it (in the past) because there *was* (at the moment of the prearranging, which is in the past) a mountain of things he *had* to say. Logically, it shouldn’t matter if there’s anything he wants to say *right now*. What matters is if he already wanted to say those things at the moment of the prearranging. Or simply “has prearranged it” instead of “prearranged it” would make it fit as well. Then the whole sentence will be present tense. Sentences can have two tenses right? “Roswaal had a hand in sending him here, and it still annoys him to see that Clown’s wishes fulfilled so perfectly. As a matter of principle, even if he fulfills any of that guy’s wishes, it should be by continually stomping it.” Roswaal had a hand in sending him here, and it still ANNOYED him to see that Clown’s wishes fulfilled so perfectly. As a matter of principle, even if he WERE TO FULFILL any of that guy’s wishes, it should be by continually stomping it. Isn’t it valid to say “that still annoys me to this day”? Instead of “that still annoyed me to this day”? And “even if he fulfills” I am trying to figure out the problem. What is the reason to change it? Thank you for the magnificent translation btw. For the first one, “didn’t bode well” means the bad thing already happened. “Doesn’t bode well” means the bad thing will happen in the future. Nothing bad happened yet, Roswaal’s absence in the past is indicating something bad in the future. The second one, Anastasia’s forces are sill currently intact, shouldn’t it be in present tense? The third one, Crusch and Emilia’s camps are not currently in close coordination, they will need to be in the future. Isn’t “will” ok there? You shouldn’t waste your time worrying about people like this. He probably took one English course in his life, and the teacher made him write a story in past tense, so now he thinks the original author is “wrong” for using present tense. The battle against over-confident ignorance is one that even Subaru couldn’t win against. Save your breath. Your translation is perfect. It be sold by Yen Press. Your goal is to convey what the author wrote, not to “make it better”, as this other individual seems to think. PS: I’ve read all his proposed changes in all his posts, and they’re all arbitrary nonsense quibbles that would change the intended meaning of the story and make the writing quite a lot worse. I didn’t mean to sound angry this time. I just got a bit confused after reading the second and third comment haha. *It could be sold by Yen Press. thank you for the translation i really enjoy it, keep going like that. Gracias por tu increible traduccion, gracias por el tiempo que estas usando para que todos los que nos quedamos con ganas de mas podamos saber que pasa despues del anime. Y saludos desde Argentina!! This chicken must be a great spirit in disguise. My thanks for your heroic efforts. Since I don’t know how to directly reply to a specific comment directly I’ll just adress the person by name. Sorry for not knowing something obvious AGAIN. Azrael. While I do take issue with the way you are making generally rude, insulting and incorrect assumptions about me and paint me as completely uncooperative person without even giving me the chance to say/write a single thing to reply or justify myself, I’ll have to admit my apparant incompetence and ignorance to said incompetence. I’m sorry. Sorry for offering proofreading and through that offering help I couldn’t provide. I’m sorry my knowledge about this language was more insufficient than I thought it would be. Nobody pointed it out to me before and I just didn’t know better. Though I have to assure you that I have more than a decades worth of experience with English both in praxis and theory. Thats no excuse. I know. Just an attempt of an explaination. I hope I didn’t sound to rude. Last but not least I end this little comment by assuring everyone that I won’t try proofreading again until I thoroughly memorized every single grammatical rule of this language (as opposed to now were I know only most and some of them merely vaguely). The problem is that the pedantic application of English, and in some cases incorrect application, shouldn’t override the original author’s choices. Chic-kun is doing a translation and the point of translation is to as accurately convey the source meaning as is possible within the limitations of the linguistic differences. Thus, unless you know something we don’t, the correct tense is always the one that best fits the Japanese. If you can read Japanese and can provide reference back to the source as to why your corrections make more sense, or if you can provide a reason why the phrasing could be better while still maintaining the same tense and meaning, I’m sure our hardworking host would be glad of your input. If your input is based purely on proof reading the English without the context of the original material then they might come across as considerably less helpful. First, let me praise the Chicken! – Slightly alter the Japenese tense so that at least the grammar is correct. – Keep the Japanese tense at all costs for style choices, even if sometimes it doesn’t fit in the English language (Chicken’s way). Both ways are correct, and neither are the only way. Now there’s also some people that try to “correct” everything into the past tense, which is DEFINITELY NOT the way to do this. Translating light novels, web novels and other stuff from Japanese to English is already a lot of work. Chicken is very fast in translating and offers a very high quality. Please let’s all agree to be less nitpicky, since s/he seems to be very thoughtful about the wording of his translation and I certainly haven’t seen anything that is objectively wrong (though I haven’t really proofread it at all). Actually, I’ve seen a lot of things that have been translated much better than I expected. I can only applaud Chicken for this. Regardless, happy to see someone take up the effort. I’ve been catching up to the current events through the light novel (though I moved back to my country, so I don’t have volumes 7-9), and I’m mostly just curious what kinds of things are different in the web novel that would be important to take into account if I were to continue with it after I read volume 6. I as I understand it, the Light Novel cuts and moves around details from the Web Novel. So events that took place in 3 loops might be combined into one. The final loop however almost always stays the same, so the progression of the story is the same. But I haven’t read enough of the WN to be sure. I only started reading from WN near the end of Arc 3. Before that I was reading the LN. For the translation, it has to do with what the the passage is trying to say. The narration has a sense of time. Sometimes after a dialog, the narration explains the background context, which is past tense. When narrating what the characters are doing and what is happening right now or still ongoing, it’s present tense. When describing what a character just did while the dialog above was going on, that would be past tense. The thought-like narrations especially should be from the character’s sense of time, so that you can almost put quotes around it and it would be as if it’s a thought bubble. I don’t do it perfectly though, as I review and re read I choose what most matches the sense of time. Now I’m curious. I think I’m going to go back and read the web novels. I might print them out so I can read them at work. It reads pretty standard like a light novel, I’d say, so there are a ton of ways to translate it. I appreciate that you’re so conscious about it. I’m personally really inconsistent when I translate, and often only notice things after I go back and read what I translated. Thanks, dude! I’m Russian, so your translation is the only way for me to read the novel. Absolute respect for you as I said in my donation, I’m really glad we have a person like you who has a kind soul and time to dedicate for the fans. Another great translation I enjoyed and read two times, now I’ll wait for our lord Son Wukong to do a video about it and “read” it a third! Thank you!!! I’ll keep trying my best!! Son Wukong did a live reading to Interlude III !!! Cool!! I’m watching it now! I need moar! Thanks for doing it ! Patrasche confirmed tsundere waifu material. Can’t wait to see what happens next. Thanks a lot for the translation, you rock! I like chicken, i want to eat chicken, but if i eat chicken i wont have any translation … what to do to eat or to read that is the question ! Thank you so much for translating the Re Zero Web Novel. It recently became one of my favorite Anime and I’m eager to support my favorite Car Subaru on his journey to defeat the Witch Cult and put Emilia on the throne. Amazing job! Hopefully this isn’t so stressful to do. I appreciate the work you put into this! Reading this makes me want a season 2 of the anime. How would this all look animated? Amazing. I can’t wait for “that part” get translated! Thanks for your dedication as always!! Well, the tone of this new chapter lead me to think that things are gonna get worts and wreck my hopes and dreams and I’m will enjoy it. I can wait! Awesome work, you taking the time to do all of this is enough merit and reasons for me to love you, so take all the time you want/need, I’ll always be waiting for you. Nice! My heat almost broke. It will be interesting to see how that go tho. Thank you for the translations, needed some more Re Zero and then I found these translations. Thank you very much. First than all, amazing work just like always. And now the second, bro, one thing, I suggest that you should think a different way to pressent the page in the future,because you see, now there is not so much troubles, but in the way that you are translating, sooner than later it will become a bit annoying to search a specific chapter. I mean, just imagine how would this become at the end of arc 4, it would be hell to look up for something. But anyways, that´s everything that I wanted to say, thanks a lot for the effort that you put in translating this novel. Patrasche best Tsundere, Chicken best Translator…. ’nuff said. Can’t wait to see what’s up next. You da real MVP, Chicken. Kfc, how long till next part? Ok, thanks Kentucky Fried Chicken. The creator clearly wants to make SubaruxGroundDragon a thing, this is prove of that. I’ve narrated this part and plan to do the same with the other parts. I am a noob so go easy on me. Thank-you translation chicken for translating ARC 4. It should be a crazy ride. Hey bleachboy, Interlude II is the Chapter that follows after Episode 25, not Arc 4 Chapter 1. And the video thumbnail is a bit nsfw so I’ll convert it to a link for now! Sorry! Can you change it so that it can be more consistent? That was a typo! I just fixed it. It’s incorrectly translated. “Turning to see, it was Crusch looking at him. Her long green hair caressed by the misty wind, she closed her eyes, and reached her hand into Subaru’s hair, mussing it up.” SUBARU scratches his head. Crusch isn’t touching his hair. Chicken!!! Can I call you chicken? or… translationchicken is the way to go? anyway…. THANK YOU SO MUCH for translating the web novel! I really meant it, this work is just amazing, thank you for taking your time, thank you for keeping this story going for the unlucky ones that don’t know Japanese but still love this series, keep this up!!! I will be supporting you from now on till the end! Can’t you post the urls to the images then? Dude, I think we should be thankful TranslationChicken is doing all this for the fandom with almost no compensation. I still think they should at least put ads on the website instead of relying solely on donations (unless that’d end up causing copyright troubles as well). This changing in storytelling tone caught me off guard somehow. Thanks for the translation! May I ask where are the part 5 and 6 of arc 3? I can’t find it here. Seem like it jump from arc 3 part 4 to arc 4 or am i mistaken?